This is a foreign exchange guide to Cape Verde, the Cape Verdean Escudo currency plus CVE transfers and travel tips. Cape Verdean Escudo exchange rates - latest & historic exchange rates. What is the Cape Verdean Escudo currency code and symbol? The three letter currency code for the Cape Verdean Escudo is CVE and the symbol is $. Which countries use the Cape Verdean Escudo? It is the domestic currency in Cape Verde. The interactive chart below shows the USD to CVE exchange rate for the previous 3 months with rate alerts for days when the exchange rate moved up or down significantly or for 30 day highs and lows. Jutting up from the Atlantic, some 500km west of Senegal, this stunning island chain has a captivating blend of mountains, beaches and peaceful seaside villages. On Santo Antão, craggy peaks hide piercing green valleys of flowers and sugar cane, ideal for epic hikes. São Vicente is home to the cultural capital of the islands, Mindelo, which throbs with bars and music clubs. On Sal and Maio, undulating windswept dunes merge with indigo-blue seas on unspoilt beaches of powdery white sand. Meanwhile, far-flung Fogo and Brava in the southwest offer their own enchantments, from surreal volcanic landscapes, to sparkling bays framed by towering peaks. 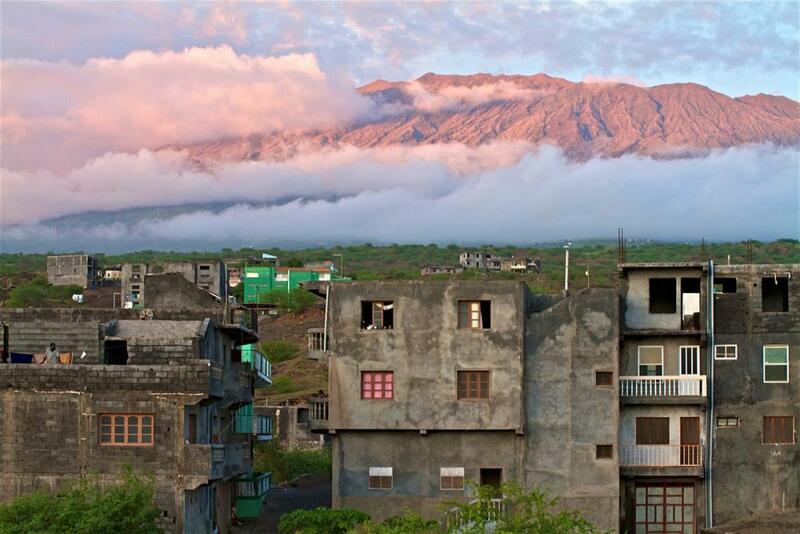 Throw in the constant beat of music that Cabo Verde is famed for and the renowned morabeza (Creole for hospitality) of its people and you’ll see why many have come – and never left. What currency to use in Cape Verde? Credit cards are not widely accepted so be sure to take some currency, however the Euro is accepted in most places.The local currency is the Cape Verdean Escudo or CV Esc which can only be obtained in the islands. You can take Sterling or Euros to exchange. The fixed exchange rate is 110 CV Esc to €1. ATMs are only found in some places so be prepared to not be able to find them easily. How to get around in Cape Verde? Taxis are readily available in the larger towns and resort areas and are generally of a good standard. Although they work on a meter they can at times be ‘creative’ so it is always worth agreeing the cost before setting off. The most inexpensive way of getting around are the 'alugueres’ buses that are easily identified and drive around the town and are often full of passengers and packages. You simply shout when you want to get off. The only reliable scheduled ferry services in Cabo Verde are between Praia, Brava and Fogo; Praia and Maio; and Mindelo (São Vicente) and Santo Antão. There's less frequent service (twice monthly) from Praia to São Vicente via São Nicolau. Seas can be rough and the crossings rocky, especially during winter months. There are cafes on board the bigger boats, but it's always a good idea to bring a reserve of water and snacks. Provided you're in good shape to handle the steep inclines, Cabo Verde's islands are a great place to bicycle around. Few visitors travel this way, however. It's inconvenient to have to pack up your bike as you fly between the different islands, and smaller planes may also refuse to take your bike. 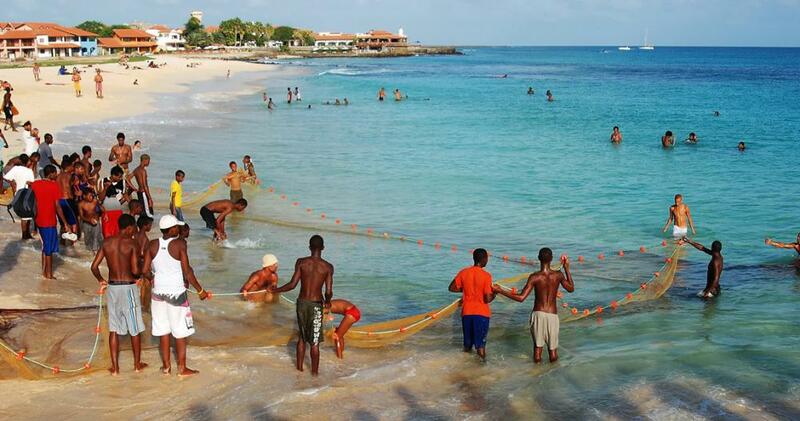 Travel tips for Cape Verde. The official language of the islands is Portuguese, which is used in most written communication, including newspapers; however Creole tends to be used in conversation and its this you'll hear being used on a day to day basis. Creole is based on African languages but with additions from several European languages. Even this can differ from island to island. More recently, English has been taught as a foreign language in schools.The religion of the islands is largely Christian, with most people being Catholic. A pleasantly tropical destination, the Cape Verde islands benefit from average annual temperatures of between 26°C and 30°C. Save money and time by Ordering your Cape Verdean Escudo online from Travelex, you get better rates and can pick up the CVE cash locally or even on travel day at the airport. For card purchases if offered a choice of currencies always select to Pay in Cape Verdean Escudo otherwise you may get much worst exchange rates. Compare CVE travel cash rates - probably why you are here! When searching around for information on how to get a good exchange rate when sending money to Cape Verde you need to start with finding out the latest Cape Verdean Escudo foreign-transfer exchange rate. Once your funds are received by the provider the converted CVE amount will be transfered to the recipient account you specify in Cape Verde. Use our Send to CVE calculator to compare the exchange rates of FX specialist providers rates versus your bank's standard rates you can hopefully save around 5% and maybe more - end result is more Cape Verdean Escudo deposited into the recipient bank account and less margins and fees kept by the banks!